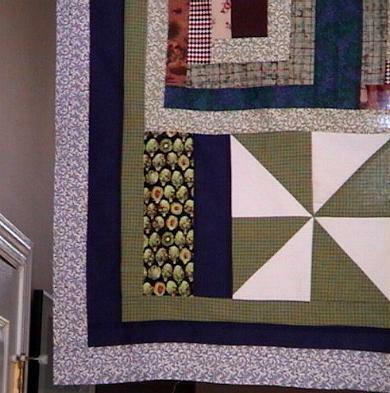 Note: The sun is shining through the quilt top. 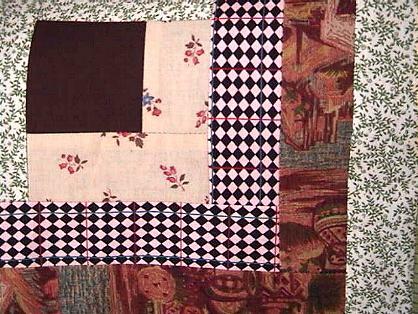 This size is great for a full sized or double size bed. Add borders for a larger size. 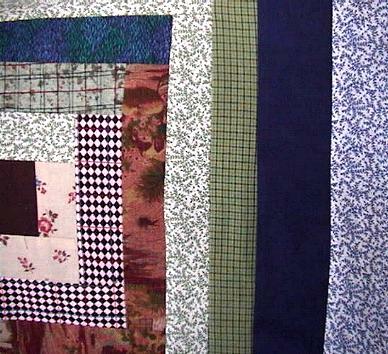 This is another absolutely beautiful new Log Cabin Quilt Top that I made, and added Pinwheels top and bottom borders. The colors in this top are amazing, and coordinate beautifully. I think that you will be very pleased. 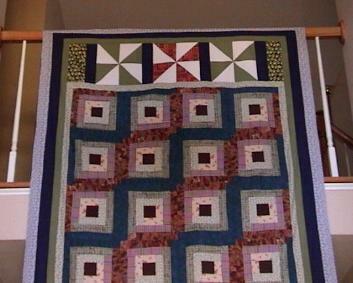 The photos just don't do justice for this lovely quilt top. The top is made with pre-washed high quality 100% cotton fabrics. 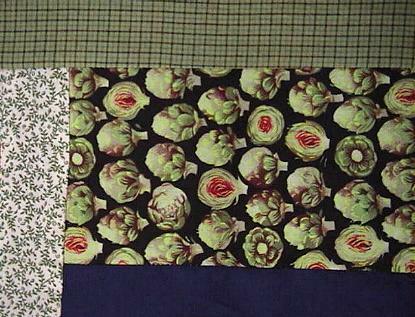 The colorful artichokes are on the 4 edges near the border. The cream white fabric is a pretty tonal. Notice the ladies in the photo below. There are beautiful roses and buds on each block; next to the chocolate brown center. 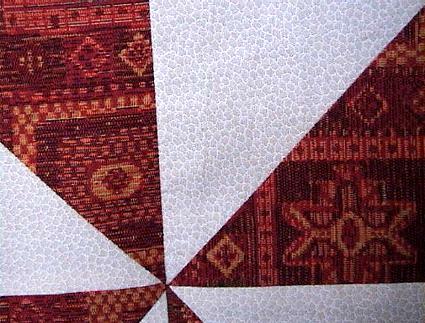 The brown/tan/sage southwest theme fabric is very scenic. 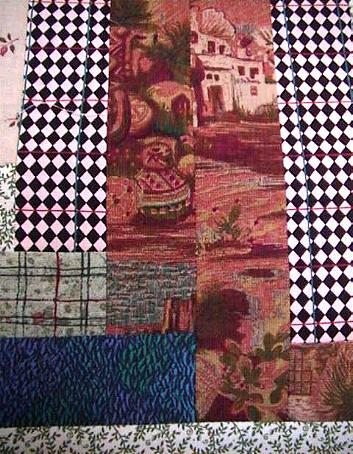 Quilt top has 3 outer borders. Make this a family heirloom. Use it throughout the year. 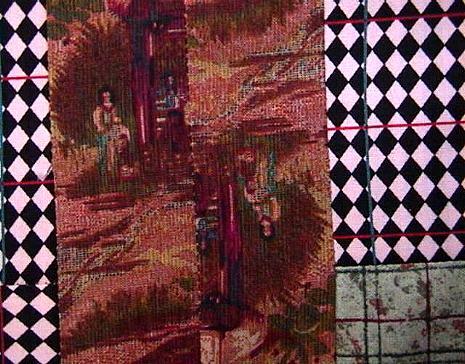 Great for a bed, wall, lap, wheelchair quilt, or throw. This is the top only. 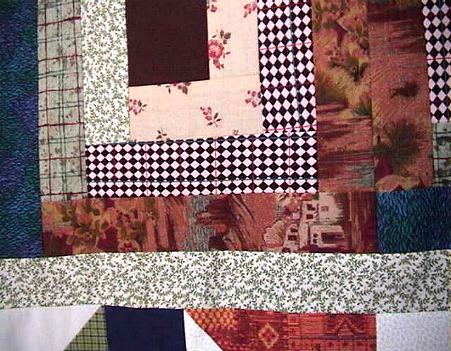 You add batting, backing and your favorite quilting designs.